Is Christ the Redeemer on your bucket list? 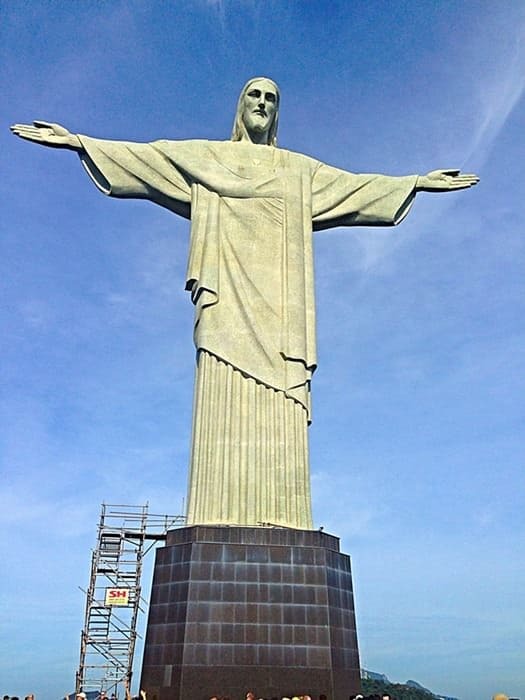 Home » Destinations » S. America » Brazil » Is Christ the Redeemer on your bucket list? The most iconic monument of Brazil (and, some argue, South America), Christ the Redeemer is an epic reminder of the power of the Christian faith and also an important symbol of the city of Rio de Janeiro. Almost 2 million tourists visit the statue every year, and many more dream of it. An important line in many bucket lists, Top 10 lists, and must-see attractions when in Rio, Christ the Redeemer is famous for good reason. 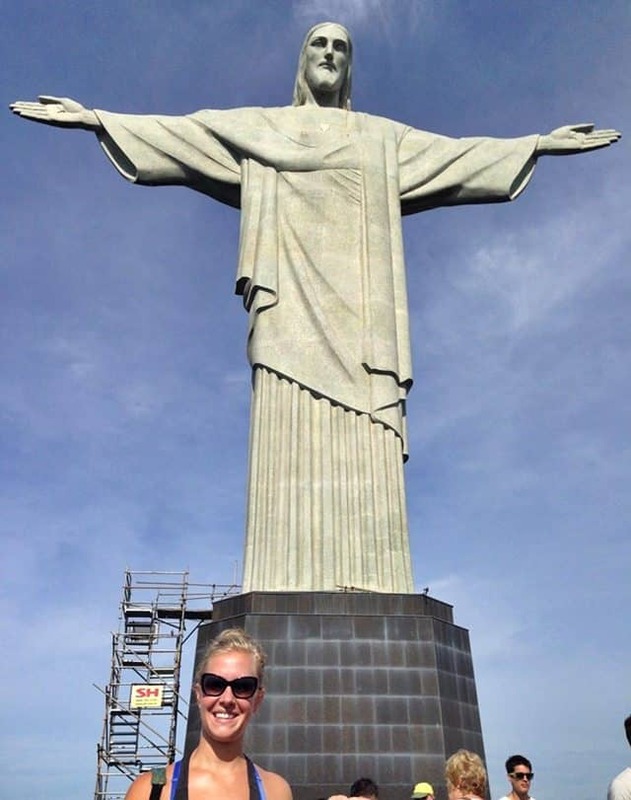 Voted one of the New 7 Wonders of the World, the Christ is the tallest religious statue in the world, but is spectacular even for the non-religious. The viewing platform of the statue offers sweeping views of multi-faceted Rio, including an unrivaled perspective of the forests, urban jungle, and many beaches. If you want to make your dream of visiting Christ the Redeemer a reality, and get your own selfie with Christo, there is no better time than NOW. With the Brazilian real dropping dramatically in value over the past year (especially compared to the American dollar), typically expensive Rio de Janeiro has never been cheaper. Drinking and dining out is particularly affordable with the favorable exchange rate, as are hotel rooms – even during high season in Brazil. Additionally, the focus on preparing for the upcoming 2016 Olympics has caused an influx of investment and millions of dollars being spent on city improvement, including tourist police forces and improved transportation options, so the city has never been more pleasant, safe, and easy to visit. The Art-Deco style statue was constructed over almost a decade in the 1920s, as a collaboration between French and Brazilian sculptors and engineers. The 635-metric ton statue was constructed out of concrete and soapstone. Funded entirely by donations, mainly by the Catholic church, the statue cost the equivalent of 3.3 million USD today. 30 meters tall and with arms stretching 28 meters wide, Christo Redentor (as he is known in Brazilian Portuguese), watches over the city and welcomes visitors with open arms. 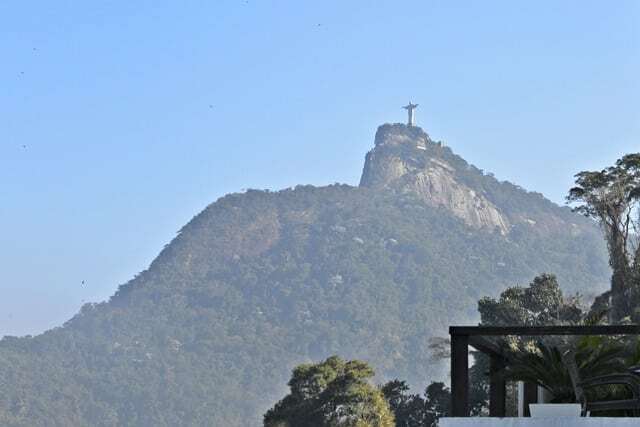 Almost everywhere in the Zona Sul region of Rio, you can catch a glimpse of the famous statue high above the city. 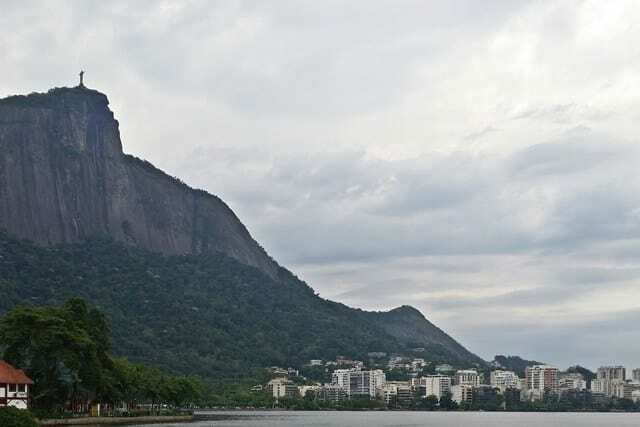 Set upon the Corcovado mountain, in the midst of the Tijuca forest, over 2300 feet above sea level, Christ the Redeemer is one of the tallest points in the city and obvious from below. Even at night, the statue is lit up with lights, and provides a luminous point on the horizon. Rio de Janeiro has the best weather from November to February each year, though this is also peak tourism season – meaning more tourists and more packed attractions, as well as higher prices for hotels and services. You can plan your visit to Christ the Redeemer to coincide with one of Rio’s two most popular holidays – Reveillon or Carnaval – for an even more memorable trip. December 31st features Rio’s famous Reveillon celebration, or New Years Eve party, on Copacabana beach. Thousands of party-goers gather on the beach (wearing white), for a fantastic fireworks display and countdown. Rio de Janeiro hosts the biggest Carnaval celebration in the world, with over 2 million participants. The celebration takes place before lent and lasts for a week. Whether you plan on taking in the samba parade competition at the Sambodrome, or just partying in blocos, Carnaval in Rio is a jubilant, fun experience and an awesome excuse to get costumed-up. The neighborhoods in the Zona Sul region tend to be most favored by tourists, for their proximity to the beach (and nearness to Christ the Redeemer), as well as their safety. Popular neighborhood choices include famous Copacabana, Ipanema, and Botafogo, though Santa Teresa is gaining in notoriety for its bohemian vibe. 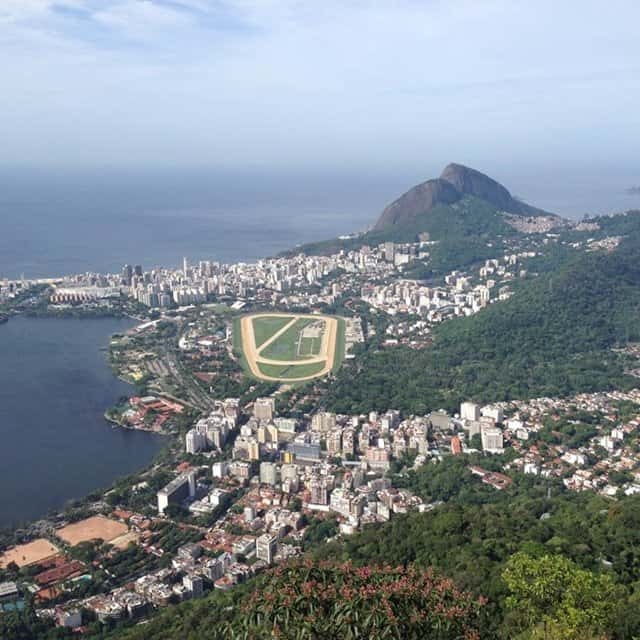 To get to the base of the Corcovado (the mountain on which Christ the Redeemer is situated) in the neighborhood of Cosme Velho, you can take a taxi or a bus. If you’re staying in Ipanema or Leblon, you can take bus 583 (also goes through Copacabana), 570, or 584. These buses stop directly across from the tram station, so keep an eye out for the tram or let your driver know you are going to Christo Redentor. Taxis are quite cheap and easy in Rio, and if you’re staying in Zona Sul, it should only cost around 50BR to get from anywhere to the base of Corcovado. From the bottom of the Corcovado to the top of the mountain to view Christ the Redeemer, you’ve got three options: a van, the tram, or hiking. If you’re hiking, it will take a few hours and plan to get sweaty! I suggest the tram as the easiest and most picturesque option. Once you’ve arrived to the tram station at the base of Corcovado following the directions above, you can buy your ticket which includes a roundtrip tram ride and entrance to the statue viewing platform. Have you ever visited Christ the Redeemer in Rio? Steph is a freelance writer, travel blogger, volunteer, and serial expat living in Mexico City (prior: Bangkok and Rio de Janeiro). She is addicted to slow travel, cultural insights, and fresh veggie eats. Christ the Redeemer is number one on my bucket list. Your pictures are amazing! Thank you for sharing. I’ll be there next year!!! Awesome! Are you coming for the Olympics or just in general? It’s an amazing city and I’ve been dreaming about it ever since I was a kid. Yet, I traveled around the World and still didn’t get to see Rio! Christ the redeemer is of the top wonders of the world and I am sure that it is on every travel enthusiast’s bucket list. I was planning to travel there soon and I loved your blog for the helpful pointers. Thank you so much because it helping me by making my travel easier.